I have previously hinted that intermittent fasting sidesteps the issues associated with stubborn body fat. Indeed I rarely find any need for advanced strategies to rid my clients of stubborn body fat. I will soon tell you why, but first let me give you some background information to what I’m talking about here. What is stubborn body fat? Stubborn body fat refers to areas of the body that hold on to fat the longest. Generally speaking, these areas include the lower abs and lower back in men, and the lower body in women. 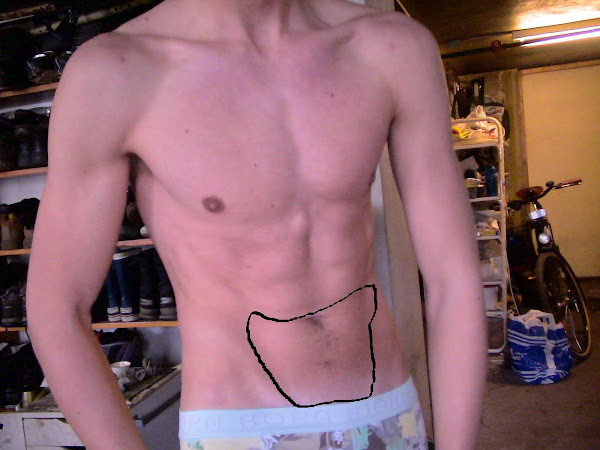 These areas are damn hard to get lean. How come these areas are stubborn in the first place? To understand this, let’s look at how fat is mobilized (the very short version). After you eat, insulin and fatty acids are elevated. You are in the fed state and there’s zero fat burning going on. Your body is relying completely on glucose oxidation during the hours following the meal. One way of measuring this is via the respiratory quotient (RQ). An RQ of 1.0 denotes pure carbohydrate metabolism (“storage mode”), while 0.7 denotes pure fat metabolism. To put this into perspective, consider that RQ is 0.95-1.0 for about 1.5-2 hours after a meal, 0.82-0.85 after overnight fasting and 0.72-0.8 after 16 hours of fasting. As the hours go by and the nutrients from the meal are done being absorbed, RQ drops in conjunction with insulin. There’s a shift towards fat burning and mobilization of stored fat. This process is mediated by insulin and blood-borne fatty acids; when levels drop, an energy deficit is “sensed” and catecholamines (adrenaline and nordrenaline) increase. The catecholamines travel through the blood and bind to receptors on fat cells. A receptor can be thought of as a “lock.” Hormones and neurotransmitters are keys that fit into that lock and make something happen. In this case catecholamines trigger fat mobilization by activating hormone sensitive lipase (HSL), which then shuttles the fat out of the cell to be burned off. Now here’s the critical difference between regular fat and stubborn fat: regular fat have a lot of beta-2 receptors in proportion to alpha-2 receptors. In The Stubborn Fat Solution Lyle McDonald used the analogy of b2-receptors being “accelerators” for fat loss and a2-receptors acting as “breaks” for fat loss. That’s the easiest way to think of them without getting too deep into the physiology. The ratio between b2-receptors and a2-receptors determines how easy it is to facilitate fat loss from one region of the body. “Easy” fat has a high ratio of b2-receptors to a2-receptors, while stubborn fat has a high ratio of a2-receptors to b2-receptors. One notorious example that Lyle brings up in his book is that women have up to nine times (!) as many a2-receptors as b2-receptors in their hip and thigh fat. Though I can’t recall if similar numbers are available for lower ab and lower back fat for men, you can be sure that the a2-receptors outnumber the b2-receptors in these areas as well. I rarely use fancy strategies for ridding my clients of stubborn body fat. They never need it. It’s more or less a linear process all the way down to the shredded state. How can intermittent fasting then selectively target stubborn body fat more effectively than other diets? Well, to target stubborn body fat we need to activate b2-receptors while deactivating a2-receptors. Intermittent fasting achieves this by the following mechanisms. Fasting increases abdominal subcutaneous blood flow, which means that catecholamines will have an easier time reaching those hard-to-get areas. The low insulin level reached during the fast inhibits a2-receptors. A greater time spent in the low insulin state equals a greater time spent in a state where fat can be mobilized from stubborn areas. Now you’re probably thinking “why not just go on a low carb diet” to keep insulin low, but keep in mind that triglycerides inhibit HSL in a similar manner as insulin. My research has indicated that the ideal state of fat burning is reached after 12-18 hours of fasting. Coupled with high levels of catecholamines, increased blood flow to stubborn regions, and low insulin for a2-receptor inhibition, this time interval is the “golden age” of stubborn fat mobilization. Let me just explain real quick what I mean by the ideal state of fat burning. Studies have examined free fatty acid (FFA) oxidation from anywhere between the overnight fasted state to three days of fasting. While FFA oxidation increases the longer time you spend in the fasted state, the contribution of fatty acids to whole body fat oxidation changes. In short-term fasting there’s a significant increase in subcutaneous FFA oxidation. That’s just a fancy way of saying that you’re mainly burning body fat and nothing else. For up to 14-20 hours* after a 600-calorie meal in normal-weight subjects, fat is only mobilized from body fat stores in resting individuals. * 14-20 hours in a completely sedentary state should easily equal 12-18 hours in real life. Past this time point, fat burning increases further. That goes without saying. But it’s not necessarily the type of fat you’re after that you’ll be burning. Somewhere in between the 10- and 30-hour time point, the oxidation of intramuscular fat increases greatly, but no increase is seen in subcutaneous fat. Subcutaneous fat simply can’t keep up with demand, so you’re playing a game of diminishing returns if you push the fast too long. Coupled with the escalating rate of de novo gluconeogenesis, and subsequent risk of muscle catabolism, fasting for too long may not be very conducive for a lean individual seeking optimal lean mass retention while targeting stubborn body fat. Men usually need to hit single-digit body fat percentage to have good abs, while women have good abdominal definition at around 15% body fat. Above is a picture of natural body fitness champ and intermittent fasting afficionado Kristine Weber. One obvious question critically inclined readers should ask themselves is whether special strategies to mobilize stubborn fat is even needed in the first place. After all, people have gotten ripped without intermittent fasting or the strategies laid out in The Stubborn Fat Solution by Lyle McDonald. 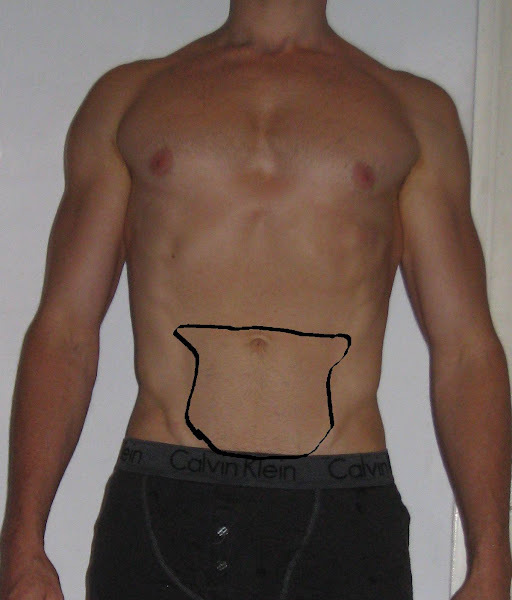 Is it not just a question of dropping low enough in body fat percentage? If we compare a traditional calorie deficit of 3500 kcal per week on a conservative diet vs 3500 kcal on an intermittent fasting setup (or with The Stubborn Fat Solution), would there be any difference in regional fat loss assuming all other factors were kept constant? I don’t think we’ll ever know, so this boils down to relying on theory and practical experience. My personal experience is that intermittent fasting helps with stubborn fat loss compared to a conservative diet. This little anecdote is obviously riddled with confounders, and maybe even wishful thinking, but if you take a look at some pictures from my younger days (and here), you’ll see that I was quite lean during the modelling days. However, I still had some fat covering the lower ab region and never really seemed to lean out well no matter how hard I tried. Sure, I would lose weight when I cut calories, but not from the right areas. I always ended up getting extremely lean legs, arms and shoulders. I also lost a lot of muscle in my desperate attempts to get good abs, but that might just boil down to me dieting like a retard. As you can see in some more recent pics, I don’t have those types of problems any more. Adding to this anecdotal evidence of mine, I have heard similar feedback from clients and blog readers. Intermittent fasting seems very conducive for targeting stubborn body fat. Got a similar experience to report? Let me know. When is stubborn body fat a problem? There were a few things that I forgot to cover when I first finished this article. First of all, at what level does stubborn body fat become an issue? Generally speaking, people don’t have a good sense of what is “just too fat” and what is a legit body fat percentage for stubborn fat to even start becoming an issue. I’ve had tons of clients approach me with their “issues with stubborn body fat” when they we’re 15% body fat or more. Stubborn fat is the fat you need to lose for a good four-and-a-half-pack to turn into a six-pack. If I had to put a number on it, I’d say 10% is the maximum body fat percentage you need to have reached before this is something you can start concerning yourself with. Below are a few examples of the level of leanness required to even start thinking about stubborn body fat. 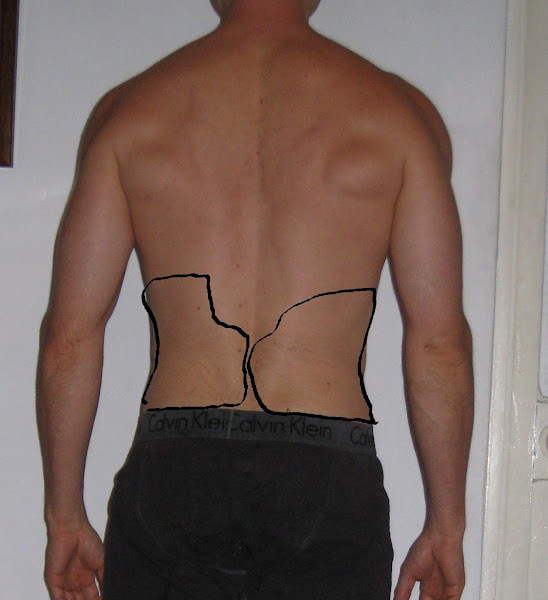 With females the whole lower body is “stubborn.” Above is a good example of the different fat pattern seen in men and women. Note the lean midsection and lower back. At the same time the lower body appears quite smooth. If she would have dropped a few more percentage points of body fat, she would have had very visible abs – but her lower body would likely not have gotten much leaner. Even female body fitness competitors rarely come in to stage with “ripped” legs. Here are a few strategies that you should consider implementing to target stubborn fat. Keep in mind that your diet needs to be in order first and foremost. You can’t throw this into the mix and expect results if your diet is sub par. Intermittent fasting. For the reasons I mentioned earlier. Increase your activity level in the fasted state. Add cardio or whatever else to get your energy expenditure up. A personal favorite of mine is lower intensity and longer duration activities like walking in the 12-16 hour time interval of the fast. Not only is this the “golden age” of subcutaneous fat oxidation, but lower intensity activities selectively use fatty acids to fuel the activity. There are other reasons I favor low intensity over high intensity activities (such as HIIT). They interfere minimally with your performance in the gym and can be done on a daily basis, which is not the case with HIIT. Supplementation. While I have gotten lean without thermogenics and alpha-2 receptor antagonists, such as yohimbine, they can speed up the process. For starters: Caffeine is a dirt cheap thermogenic that will ramp up catecholamine levels. During the fast add caffeine pills and dose depending on tolerance. If you’re not a regular coffee-drinker, you can get pretty wired off 200 mg. If you’re a habitual coffee-drinker (like me), it might take up to 600 mg to even get an effect. L-Tyrosine may work synergistically with caffeine so you may consider experimenting with that as well. Personally though, I have never gotten much out of it – though many people swear by it. For more ambitious supplementation, add the alpha-2 antagonist yohimbine or a supplement containing yohimbine in addition to caffeine pills. Take the equivalent of 0.2 mg/kg body weight shortly before fasted cardio or during the fast. This works out to 16 mg yohimbine for an 80 kg/175 lbs male if you have pure yohimbine hcl. Other commercial thermogenics, such as Meltdown, contain 3 mg yohimbine per capsule; so you’d have to take up to 5 capsules to reach similar levels. But proceed with caution:the product says, “Never exceed more than three total capsules daily or in a single dose.” Personally, I haven’t noticed anything out of the ordinary with such dosing (>3 capsules), but I need to throw in a disclaimer here lest someone screws himself over. It would be best to start low to assess tolerance. Meltdown contains quite a few other ingredients that might make the effects stronger and more unpredictable versus straight yohimbine hcl (i.e., 5 capsules of Meltdown might be more potent than 15 mg of Y-HCL in terms of stimulatory effect and perhaps side effects). Important: Keep in mind that insulin negates the effects of yohimbine on alpha 2-receptor inhibition. Always take it in the fasted state and never between meals. Considering the half-life of yohimbine is very short (30 min), you can also experiment with more frequent dosing during the fast. For example, three dosages taken every second hour until your first meal. In that case I would probably not recommend starting with 0.2 mg/kg, since there will be a gradual buildup of the active compound. 0.15 mg/kg is a better starting point for multiple dosages in a relatively short time frame (every second hour). An 80 kg male could use the following schedule. 7 AM: 12 mg yohimbine. 9 AM: 12 mg yohimbine. 9 AM-10 AM: 45 to 60 min walk. 11 AM: 12 mg yohimbine. Another option: AlphaBurn. Pure yohimbine may lead to feelings of anxiety and even panic attacks in predisposed individuals. A better alternative can be found in Alpha Burn, and other supplements containing rauwolscine, which is a stereoisomer of yohimbine. Reg from Predator Nutrition recently sent me a box of these and I can vouch for it’s psychoactive effects not being as rough as pure yohimbine. While it won’t make you as jumpy and jittery as yohimbine, it seems to have a pretty potent appetite suppressive effect. If you consider buying this, see my supplement guide to obtain a code, exclusive to Leangains readers, that gets you 5% off any order from Predator Nutrition. Fasted Weight Training. Heavy weight training jacks up catecholamines very high and heavy training in the fasted state creates the most powerful response. Heavy training and fasting are both stressors to which the body responds with increased catecholamine output; in combination it seems the effect is synergistic. How can we combine everything mentioned up to this point and heavy weight training to facilitate stubborn fat loss? Like I’ve said in the past, I’m not a fan of using weight training as a means to create a calorie deficit. I also do not recommend training completely fasted, since that would be highly counterproductive to the anabolic response. But I’ve found a way around all this. Protocol needed: Fasted Training (see the Leangains Guide for details). We’re going to assume that you’re at the gym at 10 AM and break your fast at 12-1 PM. 10 AM: Training is initiated on an empty stomach and after ingestion of 10 g BCAA or similar amino acid mixture. This “pre-workout” meal is not counted towards the feeding phase. 10-11 AM: Weight Training: I suggest using a setup similar to reverse pyramid training, which is my favored approach. This is a high intensity, low volume setup. Keeping intensity high is key in order to reap the catecholamine-related benefits. Do 2-3 sets of 4-8 reps for compound movements and 1-2 sets of 8-10 reps for assistance movements (curls, triceps work, etc). Do no more than 5 movements per session. 11-12 AM: When you’re done, which should be in no more than an hour, insulin (which was temporarily elevated by the pre-workout BCAAs) will be back to fasted baseline again. Immediately take 0.2 mg yohimbine and do 30-45 min of steady state cardio; cycling, treadmill walking at 3-3.5 mph (slight incline optional), brisk walking outside, etc. The yohimbine will rapidly take effect. Carb refeeds. Refeeding on high carb meals, with a low fat content, will boost leptin and kick up hormonal output and metabolic rate a notch. It may sound counter intuitive for those not familiar with this concept, but it may in fact be just what you need to get past a fat loss plateau, or to see fat loss in stubborn areas. Much can be written about this, but Mark Sisson recently wrote an easy layman’s guide to carb refeeds that you might want to check out if you need a quick summary of the benefits. For a more thorough explanation of refeeds and leptin, I urge you to check out Lyle McDonald’s excellent series on body weight regulation. There’s plenty more on this topic on Lyle’s site; just do a search for “refeeds”, or “refeeding”, and you’ll be busy for hours. If you follow my approach, as I’ve laid out in the Leangains Guide, you will refeed after every weight training-session. As a final note, keep in mind that none of the above mentioned strategies are essential in order to get to your desired level of leanness, assuming that entails a ripped six-pack. I’ve gotten myself and several clients very lean without supplementation, cardio, and with fed state training. In the end, getting rid of stubborn fat comes down to patience. There’s no “quick fix” solution. Only various strategies that may present some hard-to-define benefits in theory. When determining what strategies you can use (and this goes for any diet), first look at what you can implement into your daily routine with a minimum of added effort. Don’t go out of your way to find advanced strategies that increase the perceived challenge of your diet. That’s always a recipe for failure in the long term.